Montessori Marathon Kicks Off Today! Today, March 11th, is the beginning of our 2019 Montessori Marathon Fundraising Campaign! Montessori Marathon is one of only two fundraisers PRM does all year to raise money for our classrooms. All the funds raised will go directly to our teachers to buy classroom materials and make continued improvements over the summer. Our fundraising campaign will run from March 11th through April 5th. Donate securely online or make checks out to PRM PTO! During this time we will ask students to reach out to friends or family in as many states or countries as possible- our goal is to have funds from all 50 states and at least 5 different continents! The children will also train with Coach Strait, and on April 5th, the campaign will culminate in the RUN! We will lace up those running shoes and organize a “Team” for each classroom to participate in a fun run of a few victory laps for all of their efforts! Classes will be staggered into 20-minute blocks. We will have a finish line, refreshments after the run, and lots of fun photo ops on race day, so come out to watch your child’s classroom run on the 5th! We will send out the run schedule and a sign up for race-day volunteers soon. The next time you visit the school, take a peek at the bulletin board outside of the main office. We are coloring in the states we receive donations from and checking off those continents! Thank you for your support of this important effort! Our great families are what make this school tremendous! What is the Montessori Marathon? The Park Road Montessori Marathon campaign is a month long event that culminates in a “marathon fun run” for our entire school in early April. Students will ask for donations for their running efforts and in so help us to reach our fundraising. This event is one of only two annual fundraisers from which money is divided among all classrooms and is critical to providing needed classroom materials. 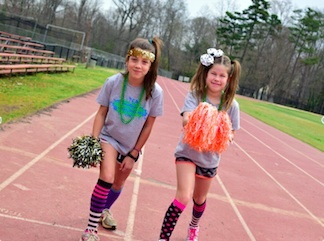 How Does the Montessori Marathon Raise Money? You can make checks out to PRM PTO or donate online. AND be sure to reach out to friends and family for donations. Let’s reach out to all 50 states! ENCOURAGE: Inspire your children to prepare for race day by eating healthy and indulging in physical activity regularly. When Does the Montessori Marathon Start?Our Montessori Marathon kick off day is March 11th. Our beloved P.E. teacher, Coach Strait, will remind all students that this fund raiser is like NO OTHER, it is special because STUDENTS are the main participants! 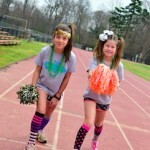 They will practice for the event day with Coach Strait each week during P.E. and they will send emails all over the world, and RUN THE MARATHON on April 5th. What an empowering experience! What are Teacher and Classroom Supplements?Our teachers purchase classroom supplements with the funds raised through the Montessori Marathon. Here are just a few of the items each grade level plans to purchase for their classrooms. Thank you so much for your support of our wonderful school!